INTRODUCTION—The Story Behind Keep Your Eye on the Prize! 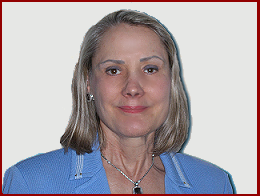 Marcia Kraft Goin, M.D., Ph.D.
Beth Ann Brooks, M.D., M.S.A. “Going off to college is an exciting, challenging and at times stressful life-changing event. It is a transition that requires learning new psychological and interpersonal tools. "A great time was had by all who attended [the annual Harvard Club of MN send-off party]... We gave one of your books to [the host] and one to a [past President]. The others were glommed up instantly by some of the students. The others were left wanting... I'll have the MN Club send [more books] out to this wonderful crop of students. Thanks ever so much for sharing your writing capabilities and thoughtfulness in this great primer for the adolescent cadre/cohort." II. Before You Start A. Ready for College? Applying to college can feel like climbing on the Excelsior. You may step on at the last minute with no emotional preparation, and like the young man above you may enjoy the ride. Or as I felt before I climbed on, you may feel anxious and uncertain but climb on anyway, unprepared for what follows. This book is meant for students and parents who want to learn how to handle the emotions of this process. If you are about to step onto this emotional roller coaster, this book will help you understand (1) What happens in the five emotional stages of the process; (2) How uncertainty intensifies the emotions; (3) How you can develop the emotional skills and resilience needed to cope with the process without counterproductive or even destructive behavioral and emotional consequences. To do this, the book will discuss Affect Theory as background to understanding human emotions. It will present both true stories of how people have responded both positively and negatively under these pressures and the winning strategies that have helped others who have gone on this “ride” before. “Barbara, First, I do want you to know that your book is one of the best I have ever read about the many challenging aspects of today's college admissions process. Frankly, after years in a Dean's role and recalling how often my fellow admissions officers and I have been called upon to "explain" the reasons for a disappointing decision by understandably upset parents, I feel you have captured the unique psychological influences involved in the present-day overwhelmingly selective college admissions process. This phenomenon is being felt at all types of schools in addition to the most selective ones. Parents, I feel, in today's uncertain national and international economies want most of all to ensure that their children will have the best background in order to hopefully guarantee success in life however that is defined. Therefore, the "best" colleges and universities are benefitting from this mindset as are many of America's best known and respected state-related schools. Your exceptionally helpful and insightful book should be required reading for all who are an active part of the college search experience, even including the prospective students. But all parents will be well-served to digest your observations and especially your interesting case studies. In well-chosen words you are able to suggest the reasons for the heightened level of anxiety. Your writing style is quite honest and refreshingly candid which will allow readers to put the entire process into some kind of order and perspective. While some parents may not agree with the admissions decisions, they will better understand the dynamics at work in today's climate. Again, I may not have read every piece of literature on this subject but I feel certain that "Hold On To Your Hat" will go a long way to helping many individuals understand the realities and reasons for the "selective college" admissions universe. "Dr. Long's book provides college-bound students and parents with a practical understanding of, and approach to, the college application and selection process. It's less about grades and scores and more about expectations and emotions." "This book by Dr. Long is a wonderful and most helpful to read before and during the college admission process for both parents and students. By the time parents and their children are through the college admission process, it will show the signs of a well read and well loved book! This book will be particularly helpful for parents who have attended Ivy League colleges when the admissions landscape was very different from today's highly competitive process, even for those students with exceptional qualities." "This is a splendid book with a great deal of valuable information for those who are applying to college and their families. The vignettes are particularly meaningful. Actually, it has a great deal for those in all walks of life. " 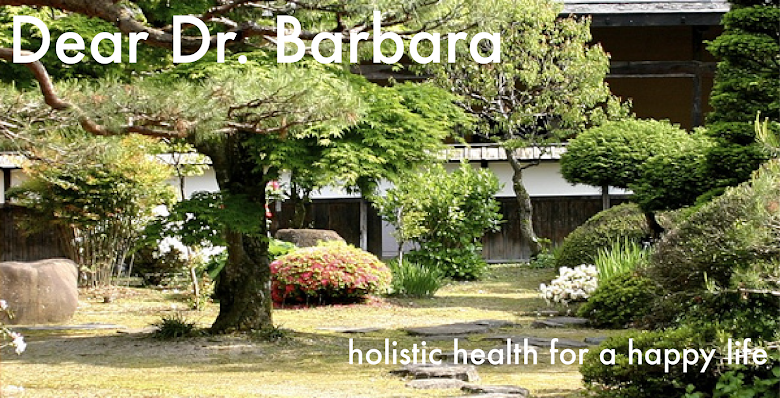 Author: Barbara Long, M.D., Ph.D. 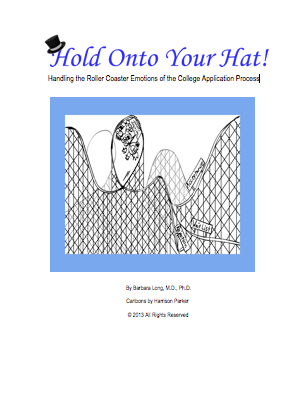 Hold On To Your Hat is an indispensable book for parents, students, admissions counselors and universities providing guidance regarding what emotions to expect during the college application and admissions process. Pragmatic advice on how to manage these feelings is provided in a manner that is both understandable and enjoyable to read. As the competition for admittance to the top colleges increases, students feel pressured to perform at an extraordinary level, both in and out of the classroom, in order to secure a coveted spot at an elite university. Long's book provides assistance to all those involved in this process, providing unique insights into typical pitfalls people may encounter during this process as well as presents strategies that can be used to help manage this tumultuous period. Long reviews affect theory, providing parents and students with an increased ability to recognize their own emotions, as well as those of people around them. This allows the reader to not only better understand how they feel, but also provides an increased awareness of how their actions and behaviors may affect their peers and families. Five stages of the application process are presented along with the typical emotional reactions that accompany these stages. Strategies on how to survive this process, and even strengthen bonds between parent and child are provided. Behaviors that can occur during the stressful application process that lead to parent-child estrangement are discussed. Frequent examples of actual families are used throughout the book to make the concepts in the book real and memorable. Complex issues such as pride, anxiety, finances, self-esteem, guilt and anger are involved in the college application process, and Long seamlessly combines these in a way in which people can learn how to navigate this process without letting it take over their lives. Everyone involved in the college application and admission process can benefit from reading this book. It allows the reader to take a moment away from the hectic college admission process, and remember to stay grounded and keep a realistic perspective regarding where students attend college. After all, most colleges have more to teach their students than the students can learn in four years. Placing too much importance on attending a specific school can ultimately be destructive to students and their families. Long's insightful perspective and wisdom allows readers from all backgrounds to avoid adverse emotional outcomes and encourages students to find a sense of pride within themselves no matter what college they attend.